The screen lifts up easily, without bunching or balkiness, and stays put when you let go of the handle (no locking required). I did not notice any folds, wrinkles, or waves on the screen. Storing the screen simply involves reversing the above-process, which takes less than minute from start to finish. I left the screen in front of the RPTV when not in use. 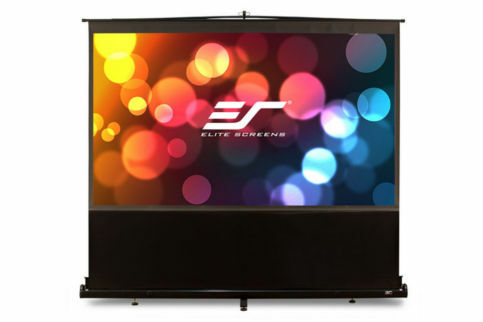 This is really a no-hassle, spouse-friendly way to have a projection screen in the room without installation hassles.